In this episode of the #IndieBossTALK podcast, I’m sharing some gems Hunny! In the age that we live in, old ways just don't work anymore. Your website, no matter how awesome it is, and your Instagram posts are not enough to move product off your shelves. No matter what you're selling - you should be engaging and building relationships with influencers. I want to provide you with a few tips on how to get your brand visible in the blogs. f I could get one blogger or media outlet to talk about me and my music, the chances were greater for me getting other bloggers who would do the same. Fast forward. 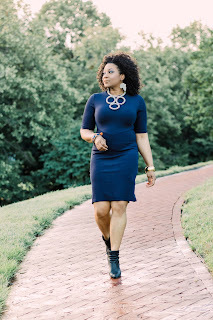 It's a year after releasing the project and I launch AvaBella's Indie Blog. I've seen it all. I've gotten emails about just about everything. No lie. From music to candles, to events, to pillows, to body creams, to hair products, to beard balms, to nonprofits, to crowdfunding initiatives, to cupcakes in a jar; you name it; I've seen it in my email. So let me cut to the chase and help you out. Here are a few things you need to know about getting your brand in the blogs and why the heck it's so important anyway. Let's talk about it! Thanks for listening! Creative business how-to for today’s entrepreneur and IndieBosses everywhere! 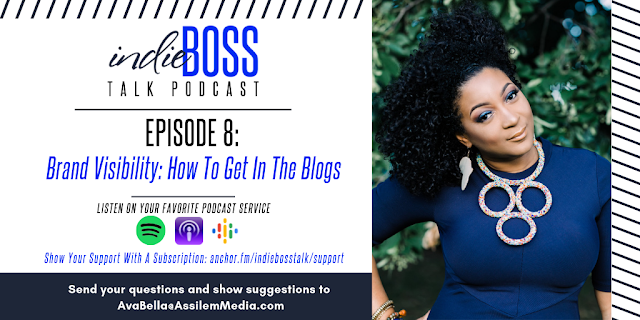 Each Tuesday, join Melissa ‘AvaBella’ Ramsey as she dissects the many layers of being an Author, artist, mom, and MUSICpreneur, and shares stories of fellow IndieBosses worldwide. Whether you want to learn more about entrepreneurship, navigating how to build your brand, or leveling up your side hustle, this is the podcast for you.